Underwater Landscape is an excellent quality Photo Manipulated Wallpaper for Windows PC and Apple Mac. Underwater Landscape is created by kirkh. It is a RAR download, the file is 1.6 MB in size. This Article Has Been Shared 226 Times! Includes 4 wallpapers, all in 1920×1080 for your Windows 7 PC or Mac. Magenta Flower Wallpaper is an excellent quality photo wallpaper in high resolution of a bunch of Magenta Flowers on a beautiful blurred background. Abstract Fish Wallpaper is an excellent quality digitally rendered wallpaper of abstract fishes and the set is available in various screen resolution. 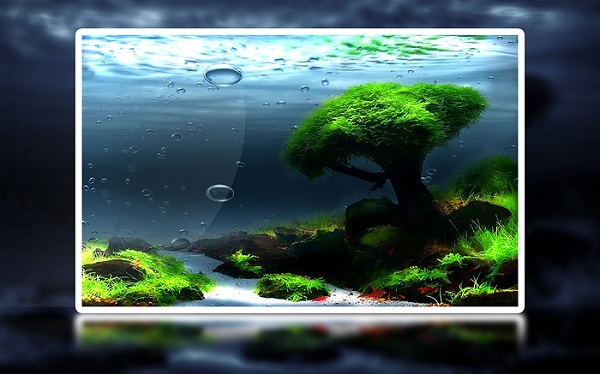 Cite this article as: Abhishek Ghosh, "Underwater Landscape Wallpaper – Colorful Wallpaper for PC and Mac," in The Customize Windows, September 16, 2011, April 24, 2019, https://thecustomizewindows.com/2011/09/underwater-landscape-wallpaper-colorful-wallpaper-for-pc-and-mac/.